The Resource Conservation and Recovery Act (RCRA) gives the EPA the authority to control hazardous waste – which includes the generation, transportation, treatment, storage, and disposal of hazardous waste. The RCRA is the law that creates the framework for the proper management of hazardous and non-hazardous solid waste. The RCRA regulations are contained in Title 40 CFR Parts 239 – 282. 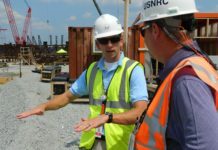 The EPA requires RCRA Training for persons working on-site at a Large Quantity Generator (LQG) of hazardous waste who handle hazardous waste as part of their job (i.e. ‘RCRA Personnel’ or ‘Hazardous Waste Personnel’). 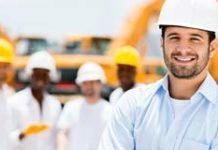 It may include part-time or temporary workers, contractors, consultants, and off-site managers. RCRA Annual Refresher training is also required for all personnel whose job responsibilities bring them into contact with hazardous waste or will respond to a hazardous waste emergency. The RCRA refresher training course is designed to satisfy EPA’s annual training mandate for hazardous waste personnel and covers the RCRA management, storage, and disposal requirements for hazardous waste generators under 40 CFR Parts 260-279. 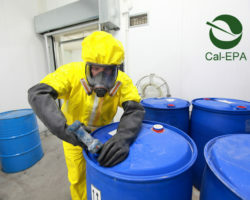 California has unique hazardous waste regulations that include, but substantially exceed requirements of the Federal RCRA regulations generally in effect in other states. California has requirements that include rules for not just generators, but also transporters, hazardous waste treatment and storage facilities along with specific guidelines for treatment and disposal practices. Also, the state regulates more wastes as hazardous wastes than the Federal Rules (among other rules); meaning it may not be deemed hazardous by Federal Codes, but may be considered hazardous by state or local municipal code or ordinances. California hazardous waste training is required annually for all personnel “who work at, or oversee the operations of, a hazardous waste facility and whose actions or failure to act may result in noncompliance.” California’s hazardous waste regulations are stricter and more intricate than the Federal rules. 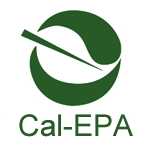 Cal/EPA fines for noncompliance are as high as $25,000. The RCRA/EPA Hazardous Waste Management Annual Refresher Certification was developed to keep you and your management staff ahead of the State and Federal laws governing compliance, with 40 CFR 262.34 and 265.16. After completing the “Initial” Hazardous Waste Management training, the EPA requires you complete an annual refresher to stay current of changes in regulations and to refresh the student’s knowledge the EXTENSIVE regulatory requirements contained in this training. 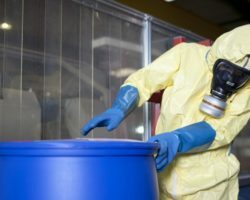 The Environmental Protection Agency (EPA), requires all facilities that generate hazardous waste, have training that includes detailed regulatory requirements. Training topics include: Emergency response, waste characterization, transportation container marking and labeling, waste minimization, and manifesting. There are no regulatory requirements listed for this course, but this refresher course and is intended for individuals who are familiar with both RCRA and DOT requirements. It is not recommended as initial training. Involved with managing hazardous wastes. 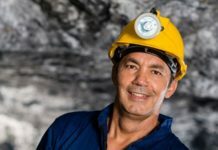 This may include engineers; scientists; geologists; facility personnel; field technicians; samplers; drillers; laboratory technicians; and shipping & receiving personnel. 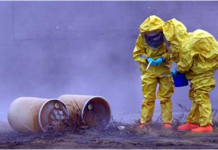 Explain the importance of RCRA regulations in managing hazardous wastes. Describe the standards used for different types of hazardous waste treatment, storage, and disposal facilities. Implement hazardous waste management systems to achieve and maintain compliance. Discuss the financial assurance requirements for corrective actions under RCRA. Discuss a manifest system including discrepancies, unmanifested waste, and operating records. Identify requirements for the monitoring, recordkeeping, and closure procedures of hazardous waste. 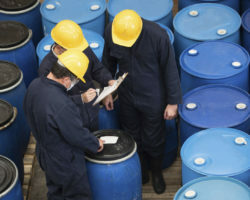 Properly identify hazardous wastes according to RCRA regulations. Discuss the elements of a waste management system for municipal solid waste and industrial waste. 40 CFR 265.16, 40 CFR 262.34(d)(5)(iii), 40 CFR 261.5, and 49 CFR 172.704 (Subpart H). The training requirements for SQGs are found in 40 CFR Part 262.34(d). 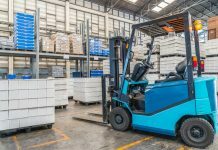 SQGs must ensure that their workers are: “…thoroughly familiar with proper waste handling and emergency procedures relevant to their responsibilities during normal facility operations and emergencies”. 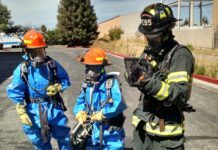 This may require annual training by a facility or some other type of instruction appropriate to the wastes handled at the SQG site. DOT’s training requirements for shipping hazardous materials are located in 49 CFR Part 172 Subpart H.
In addition to initial training [49 CFR 172.704(c)(1)], DOT requires “recurrent training” every 3 three years. “A hazmat employee shall receive the training required by this subpart at least once every three years.” [49 CFR 172.704(c)(2)]. DOT requirement for refresher training is only once every three (3) years. The HWCL says that all hazardous waste treatment had to be permitted or authorized by the Department of Toxic Substances Control (DTSC). RCRA exempted many forms of treatment by generators when enacted. 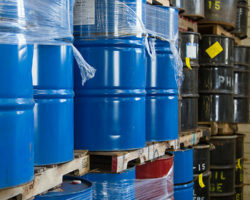 California law authorized adoption of a list of hazardous wastes (22 CCR § 66261, Appendix X) more than 10 years prior to RCRA listed hazardous wastes (40 CFR § 261), and a toxicity characteristic more than 10 years before the RCRA counterpart. RCRA has“sewer exclusion” for wastes subject to Clean Water Act regulation. 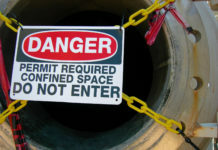 There is no sewer exclusion in state law, as confirmed by state courts (Peo. v. Sangani). Excluded recyclable materials are a matter of federal regulation under RCRA; state law in California. Hazardous waste toxicity characteristic includes a score of constituents not federally regulated, like copper, zinc, fluorides, nickel, etc. The state toxicity characteristic includes soluble constituent limits like the federal characteristic, but also total constituent limits. The state’s expanded toxicity characteristic includes other criteria, like presence of carcinogens and bioassay testing (aquatic 96-hour acute toxicity test). There is a solid corrosively characteristic. Any RCRA hazardous waste excluded from regulation is a California-only non-RCRA hazardous waste unless state law or regulation excludes it. Waste lubricating oil is a hazardous waste. There are many more universal wastes and similarly regulated hazardous wastes, like treated wood waste, in California. Protecting human health and the environment from the potential hazards of waste disposal. Conserving energy and natural resources. Reducing the amount of waste generated. 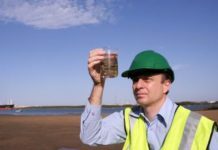 Ensuring that wastes are managed in an environmentally-sound manner. Resource Conservation and Recovery Act (RCRA) is designed to track hazardous waste from cradle to grave. Under RCRA, hazardous waste generators are the first link in the cradle-to-grave hazardous waste management system. This RCRA Training course covers RCRA regulations relating to generators, containers, and hazardous waste management plan (HWMP). The goal of HWMP is to handle hazardous waste in a safe, efficient, and environmentally sound manner and to comply with RCRA regulations. 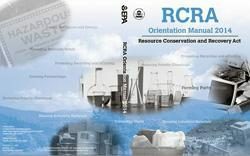 This RCRA Training course explains the history of the Resource Conservation and Recovery Act (RCRA), its structure and its key elements that provide the framework for the U.S. Environmental Protection Agency’s (EPA) comprehensive waste management program. The course discusses the specific requirements of various types of facilities that treat, store, transport or dispose of hazardous waste. Public Participation in the RCRA Program. 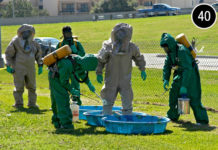 The EPA developed training modules that provide an overview of hazardous waste regulatory topics. These courses are not intended to serve as comprehensive sources of regulatory information. The RCRA regulations are contained in Title 40 of the Code of Federal Regulations (CFR) – Protection of Environment: Parts 239 through 282 (See below). In any given state, EPA or the state’s hazardous waste regulatory agency enforces hazardous waste laws. EPA encourages states to assume primary responsibility for implementing a hazardous waste program through state adoption, authorization and implementation of the regulations. The regulations governing hazardous waste identification, classification, generation, management and disposal are found in title 40 CFR parts 260 through 273. 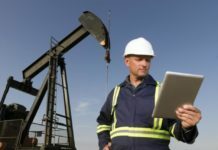 EPA also established regulations for managing used oil and standards for underground storage tanks, which can be found in title 40 CFR parts 279 through 282. 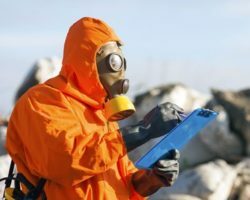 California requires annual hazardous waste RCRA training – for all personnel “who work at, or oversee the operations of, a hazardous waste facility” – which substantially exceed requirements of the Federal RCRA regulations. Key California RCRA Terms: cal-epa,cal-rcra training,cal-osha rcra,cal-rcra refresher,cal-rcra courses,california rcra training,hazardous waste management,rcra online refresher course,rcra 8 hour refresher course california,rcra hazardous waste,rcra training courses.